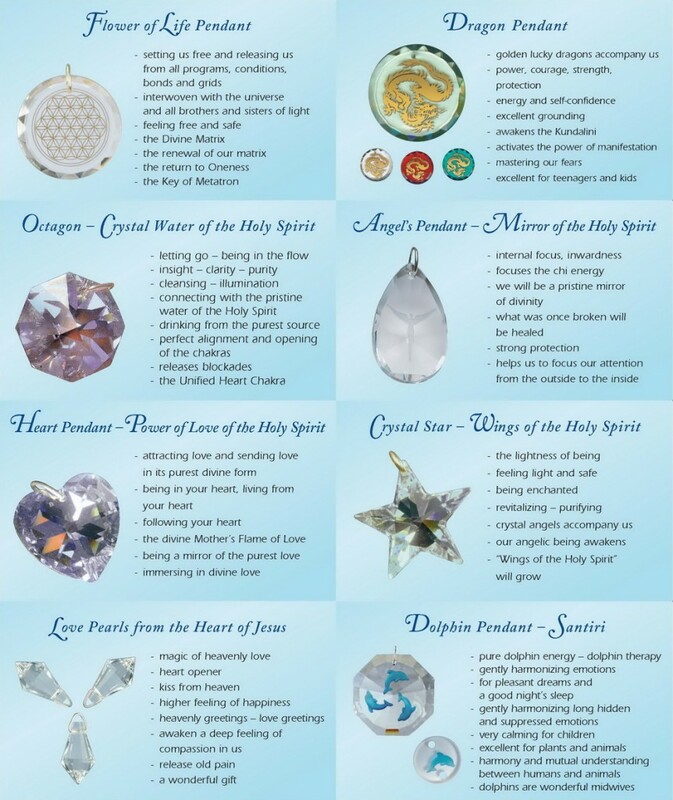 Litios Light Crystals of the New Age are highly energized light tools which are brought to the Earth to raise our energy and frequency as well as that of our surroundings and give us more energy, clarity, and vitality. All Litios Light Crystals help to balance our aura, raise our vibration, and activate our higher, divine consciousness. The Litios Light Crystals have been infused in a special, sacred way which gives them a very wide spectrum of frequencies and dimensions as well as a higher consciousness that actively works through them. They are directly connected to the new energies coming to the planet and are always permeated by this divine flow – there is no need to re-energize or cleanse them. They create a protective field of light in our aura and in our living spaces and help to release and transform disharmonious energies. They can harmonize technical radiation as well as geopathic disturbances. They can also energize and harmonize water, food, and beverages. Everyone has the opportunity to find the right Light Crystal that matches their own energy and needs. The powerful Angel’s Gate can infuse and protect a whole house or office with its high vibrational energy and connection to higher spheres. Litios earrings create a high vibrating, protective field around your head and bring you clarity, insight, and harmony in your thoughts – many claim that their head “cleared up overnight.” The Crystal Card and the Crystal Chip are specifically designed to harmonize the effects of cell phones, wireless devices, and other sources of electromagnetic radiation. 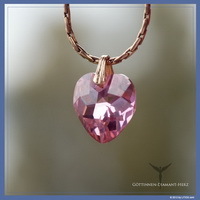 Some Light Crystals – like the mini Dolphin pendant – are intended for animals and have often helped to bring problem, fearful, or aggressive animals back into harmony and balance. Others are ideal for earth healing, used in the garden to raise the energy of plants and improve growth and health. Certain crystals and spheres near the bed have helped children and adults become calmer and sleep better. In terms of personal growth, the Litios Light Crystals allow you to clearly go into your own power, be independent of what goes on around you, own more of your creative power, and so become master of your own life. They can help to release and remove barriers that hold you back, to open yourself to greater abundance, and enable you to experience greater joy and love in all aspects of your life. 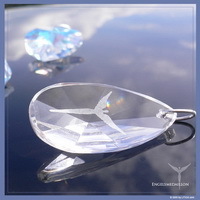 Many people who have Litios Light Crystals claim to feel a deep sense of peace and harmony, a connection to something higher and intensely loving. Therapists and caregivers integrating the Litios Light Crystals in their work find they are more connected to their inner guidance and their own gifts and skills are enriched and strengthened. Homes, therapy rooms, retreats, and centres experience a shift in energy with the presence of Litios Light Crystals. “Members of the Toronto Dowsers acknowledge that they have a powerful nurturing aura whose effects are tangible and whose beneficial changes that they catalyze within us are noticeable.” Marilyn Gang, founder Toronto Dowsers. 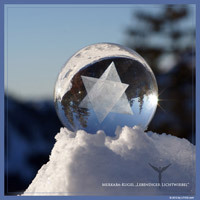 Litios Founders, Antje and Edwin Eisele, are a spiritually attuned German couple and are strongly connected to Archangel Metatron who has guided and instructed them on how to produce the Litios Light Crystals. 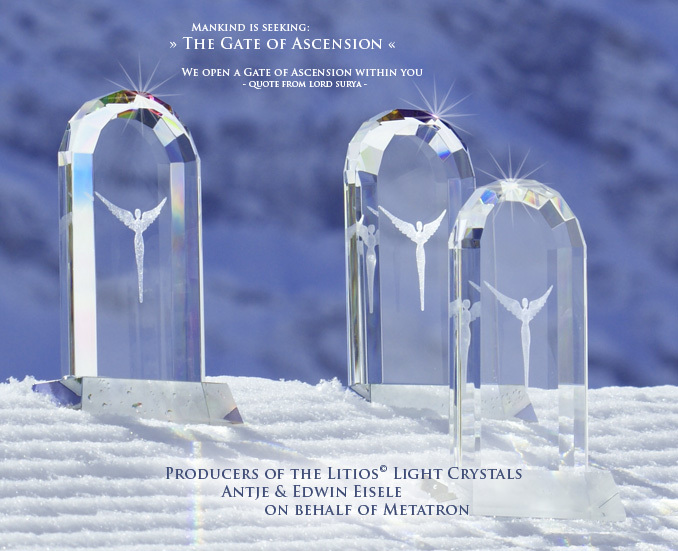 The Archangels have offered to infuse the Litios Light Crystals with the purest light energies from the highest dimensions so that we may have access to this divine energy and knowledge now. This sacred divine infusion happens over a period of several days, requires no human intervention and is undertaken by Archangels, Crystal Angels, and Ascended Masters. Angela is delighted to partner with Litios Canada to introduce these advanced light tools to help raise vibration and enhance daily living. 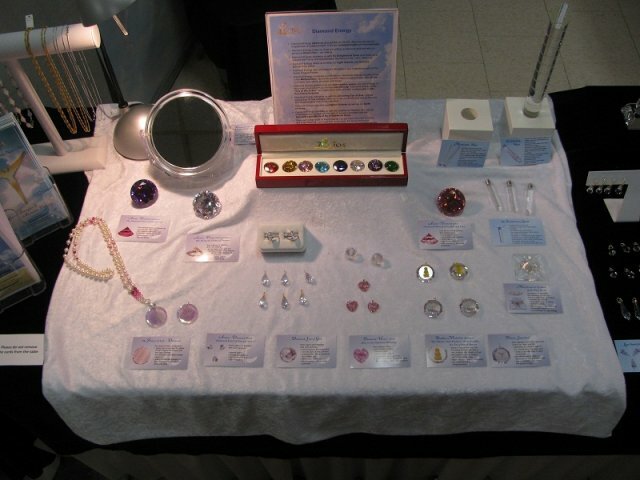 Angela was first introduced to Litios Light Crystals in November 2012 when she visited Peter and Ursula Schnell’s Litios Light Crystals booth at the Whole Life Expo in Toronto. 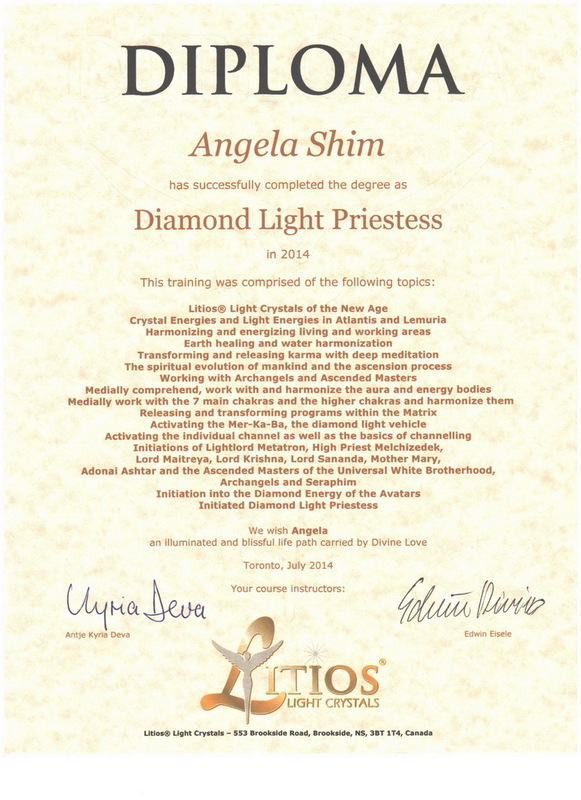 Naturally drawn to the light crystals’ purity and high vibration, Angela jumped at the opportunity to complete Litios 1 & 2 seminars in November 2012, followed by Parts 1, 2 & 3 of Litios Metatron Diamond Light Priest/Priestess Training in 2013 and July 2014 with Litios Founders Antje and Edwin Eisele from Germany. She is delighted to be part of the first initiation of Diamond Light Priest and Priestesses in Canada. Angela loves to facilitate Light Crystals guided meditations, personal light body readings for chakra and aura harmonization, as well as private consultation to harmonize living and work spaces. She is a Litios Light Crystals facilitator, partner and reseller. Guided by her angel pendulum, Angela will be delighted to assist you to select the light crystals and/or light diamonds ideal to support your personal growth and balance needs at this time. 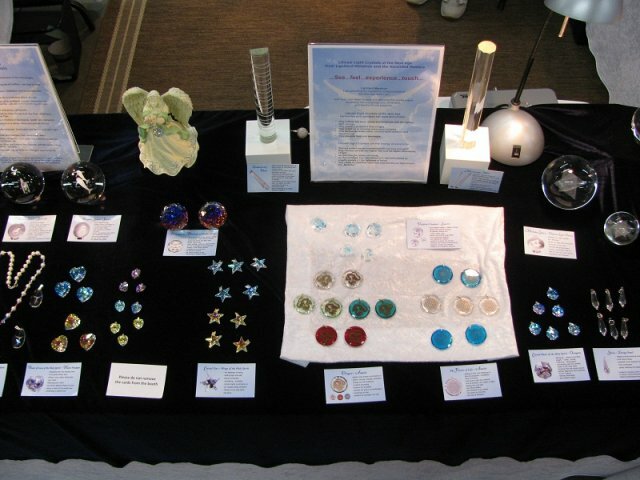 Contact Angela to book your private consultation or to place your light crystals order. Should you be interested in attending a workshop or seminar hosted by Litios Canada, simply let Peter and Ursula Schnell know Angela Shim referred you. Copyright © 2008 - 2014 Vibrant Balance.